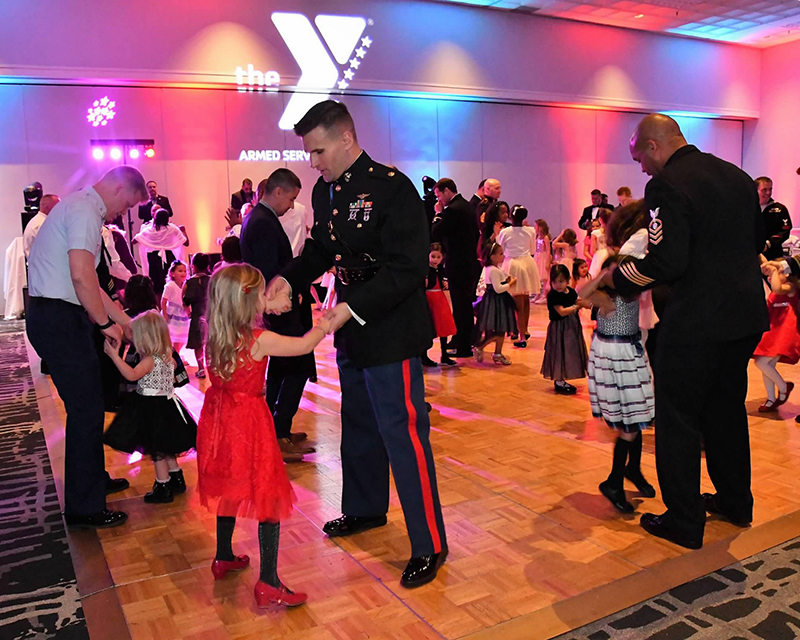 Armed Services YMCA San Diego Father Daughter Dance is a highly anticipated evening that provides an opportunity for fathers to spend time with their daughters, strengthen the father-daughter bond, and creates memories that will last a lifetime. 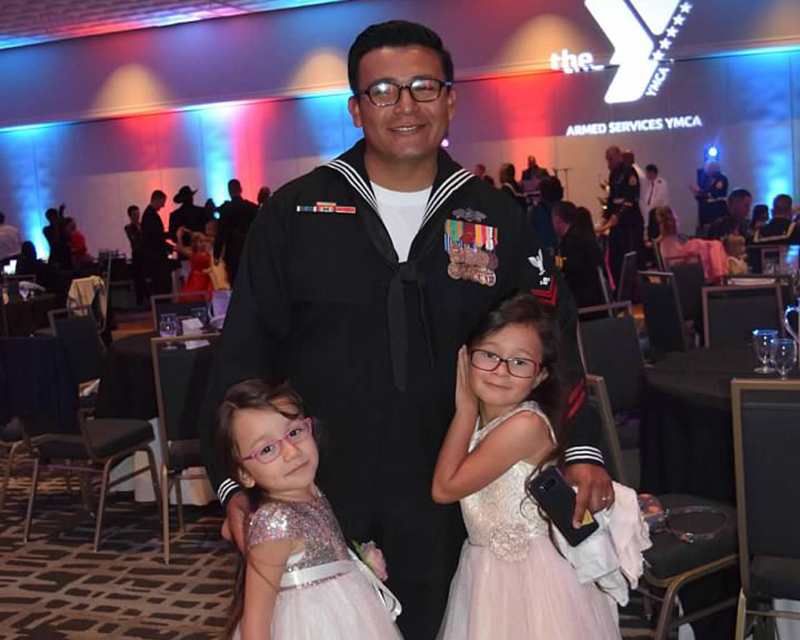 The Armed Services YMCA San Diego Father Daughter Dance is a highly anticipated evening that provides an opportunity for fathers to spend time with their daughters, strengthen the father-daughter bond, and creates memories that will last a lifetime. 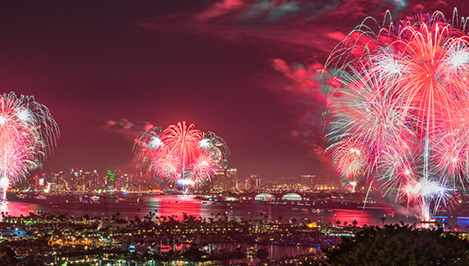 There is no denying the special bond between a father and his daughter. 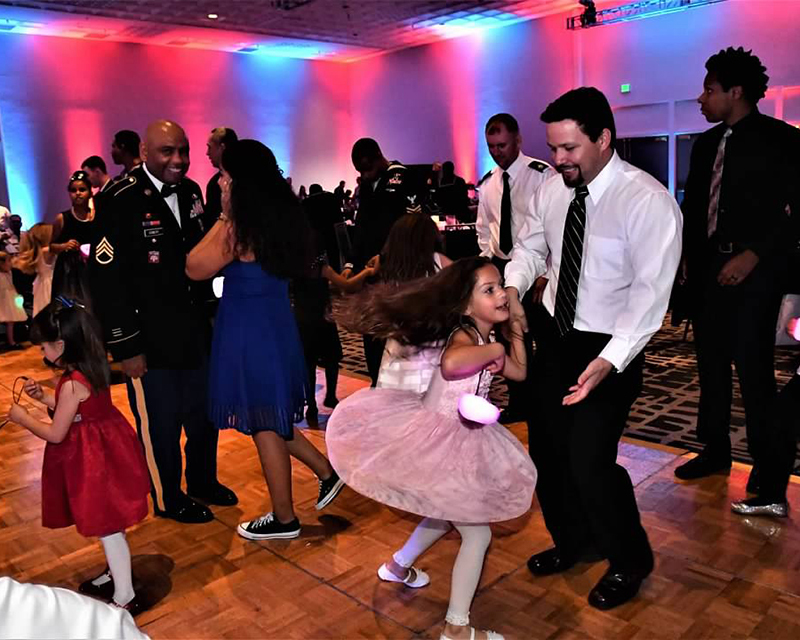 The Armed Services YMCA San Diego Father Daughter Dance is a highly anticipated evening that provides an opportunity for fathers to spend time with their daughters, strengthen the father-daughter bond, and creates memories that will last a lifetime. 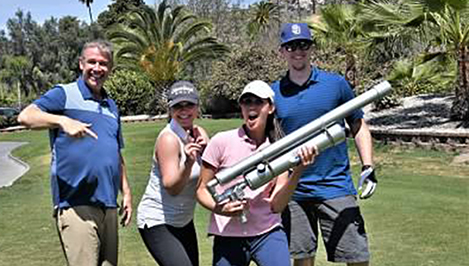 Raises funds every year for our Wounded, Injured, and ill Programs at Naval Medical Center. 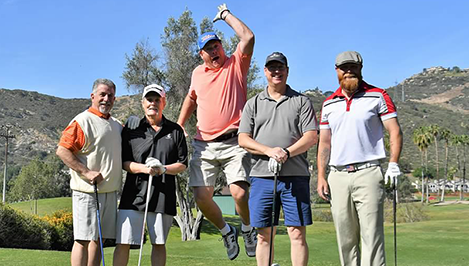 This best ball, shotgun start, charity golf tournament features a closest to the pin contest, longest drive, mulligans, fantastic raffle items and more. 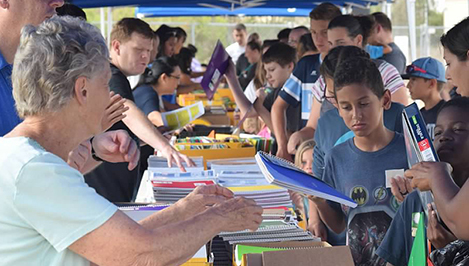 Our Back to School Supplies event helps minimize the financial hardship for junior enlisted military service members and their families with pencils, notebooks, folders, and more. 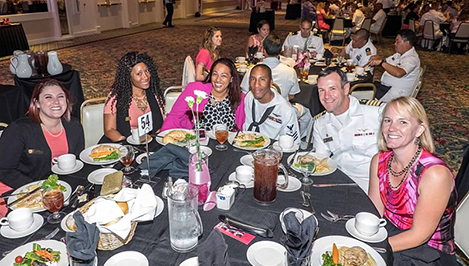 The ombudsman luncheon is a day that we pause to celebrate our incredible volunteers who are always ready to support our military families when they need them the most. 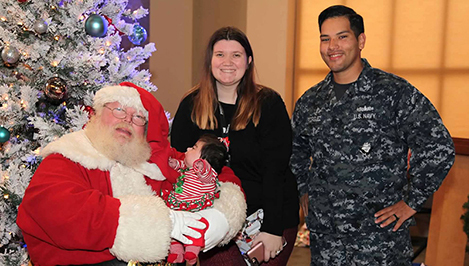 The Magical Holiday Party creates a special opportunity for families with similar circumstances to bond, embrace the common challenges of raising a child with special needs and celebrate together as a family. 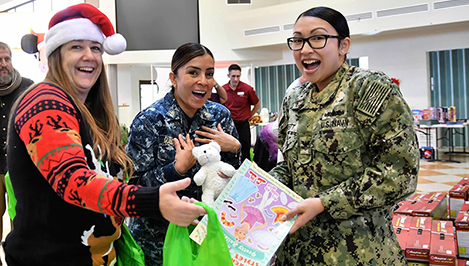 Armed Services YMCA San Diego’s Holiday Joy Program supports military families during the holiday season. 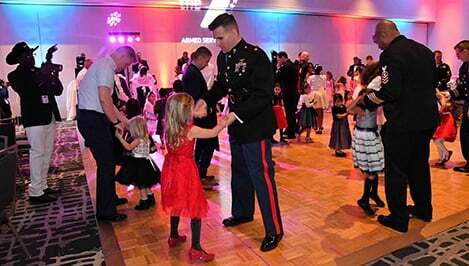 This event provides toys for the family with an emphasis on serving the junior enlisted. 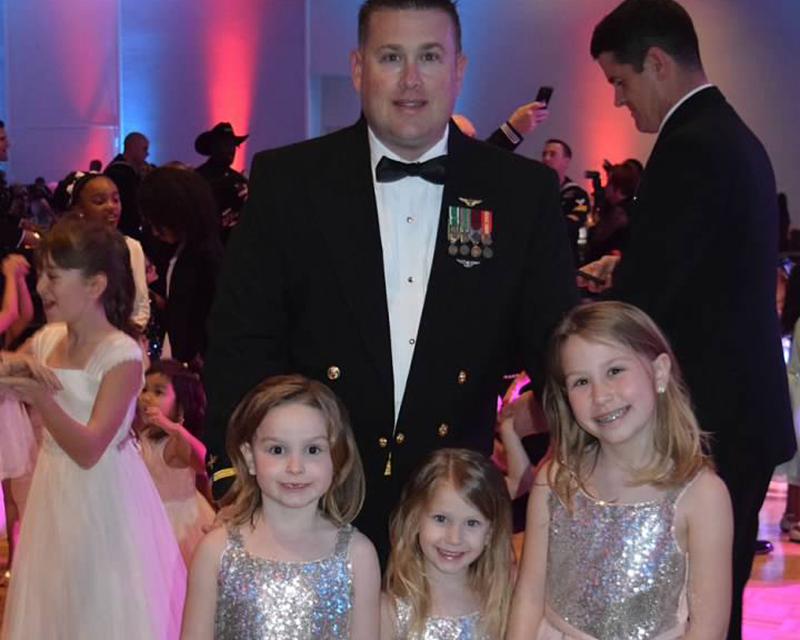 Whether you are an individual, active duty military service member or group, we appreciate your help!